Our initial plans to develop a market in the former Marks & Spencer store have now been expanded to include additional properties that will be demolished to create a major new public space supporting the development of our city centre markets. Please find our opening times for all our markets during the festive period. We hope you have a Merry Christmas and a very Happy New Year from all of us at Bradford Markets. Our design team are busily working initially on the plans for our new food market and if you want to see a computer model of the initial concept, please click here. The vacant Marks & Spencer building is to be demolished to make way for a modern market that will focus on the sale of fresh food, hot foods and food related sales. Our aim is to make the food market a celebration of the best independent foods in the city, district and region. Our exciting plans for the city markets have been approved by the Council. The plans will be available to view online and at our stakeholder consultation events taking place at the end of October. Further details will be announced shortly. We have put together an experienced design team to take our plans forward and create two vibrant modern market halls that will become hubs for independent food and non-food retailing excellence in Bradford City Centre. Visitors to the Oastler Shopping Centre can enjoy a summer of free film fun at a new pop-up cinema announced today as part of the Bradford Family Film Festival. Bradford Council’s Markets Team is to host the pop-up cinema, which will launch on Friday August 3 with a screening of the popular Disney classic, The Lion King. Shoppers will be able to enjoy a free screening every Friday at 11am throughout August. Titles include the 1960’s classic The Jungle Book, Aardman animation’s Shaun the Sheep and some exciting Pixar animation shorts. Work on the initial feasibility study and designs for both markets commenced in September 2017, and completed in January 2018. We are delighted to have Wur Bradford, our local community artists Chemaine Cooke and Jean McEwan engage in a new project inside the Oastler Market. 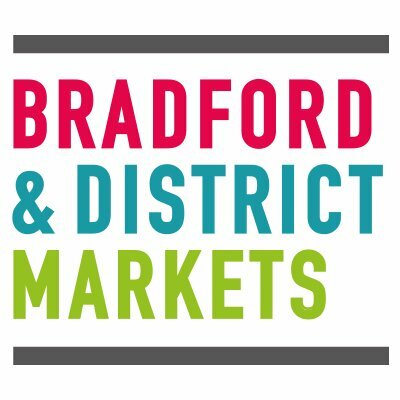 The ‘We Are Here’ project celebrates the unique history, communities and stories of the market, taking participants on a journey of discovery and the culture of Bradford through the market. Top of Town to see some animation this month with ‘Creative Streets’ project! A wide range of festive treats will be on offer when the annual Christmas market opens in Shipley. The market will take place next to the existing Shipley Open Market on Friday & Saturday (December 9 and 10) from 9am to 5pm.